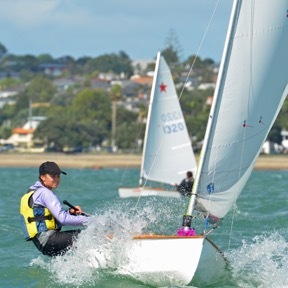 KYC hosted its annual Girls Regatta on Saturday 19 March. This event is open to girls under 19 only and in fact all boys are banned from the club house while the event is on. Boys attending an AON 29’er clinic and Optimist training had to move down the beach and use the public change rooms. The regatta has been growing in numbers steadily over the last few years. 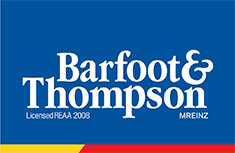 A number of girls make this their first regatta. 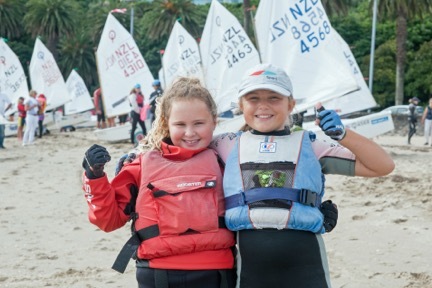 They see the absence of boys as a positive lead-in to their build up to other ‘open’ regattas. 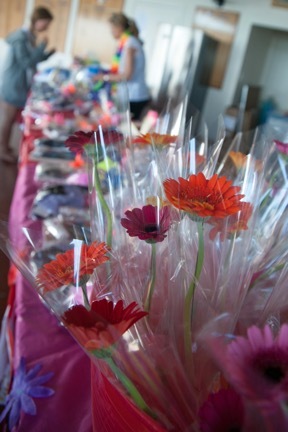 At registration the girls were given a goody bag with a lei and make-up. There were three big fleets: Optimist Green, Optimist Open and Starling and a number of representative boats; a Techno, P Class and a 420. 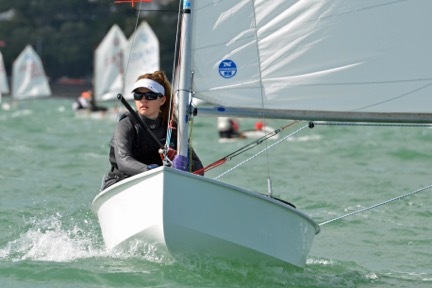 Having these at the regatta helped showcase other sailing options to the girls. Conditions were blustery with a wild sea state off Kohimarama Beach. The two race officers set a green fleet course and a challenging open course further off the beach. With the Jack Tar Regatta start line nearby it was a bit of a squeeze. Both courses got in three races back to back. While challenging, most girls stuck at it and finished all three races. A key feature of the event is that every competitor gets a prize! 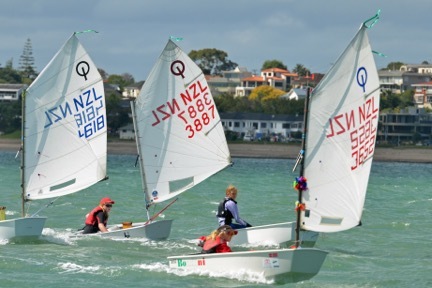 There is an Auckland Girls Optimist Champ trophy which is a lovely silver tray with the first winner presented in 1984. The prize giving starts with the place getters being awarded. Then all the competitors are called up one at a time for a flower, prize pack, photo and a round of applause. 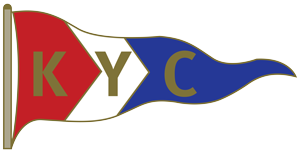 A big thank you to KYC mum Teegan and all the sponsors for the prizes. 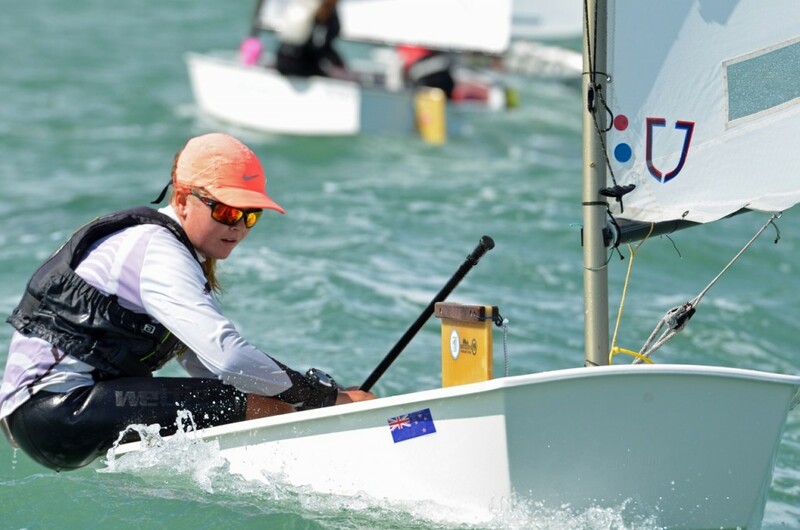 Congratulations to the major winners: Lucy Leith – Optimist Green Fleet, Kaya Tobin – Starling and Rebecca Morgan – Optimist Open.